Students from fashion courses at Kensington and Chelsea College and the London College of Fashion are working with arts and education charity digital-works to explore the history of tailoring in the Savile Row area in London's West End. With support from the Museum of London the students have undertaken research and then gone on to interview 25 people working in various aspects of the trade. These interviews will be given to archives for public access. Some of the interviews will also be edited along with film of them using their skills to make an informative and beautiful documentary film about the people working in the area. This project celebrates the history and skills of the men and women in the industry with candid stories of pride and hardship, working conditions, conflict and camaraderie and brushes with the famous and powerful. Most of all, this project puts those who have made the area synomomous with the highest quality craftsmanship at the centre of this history. You can listen to some of the interviews on this website and we will be adding more over the next few weeks. In June 2015 will be able to watch the film here also. From the late 18th century tailors began moving into the Savile Row area attracted by the wealthy and fashionable population of Mayfair. Savile Row became synonymous with high quality tailoring serving the rich and powerful. 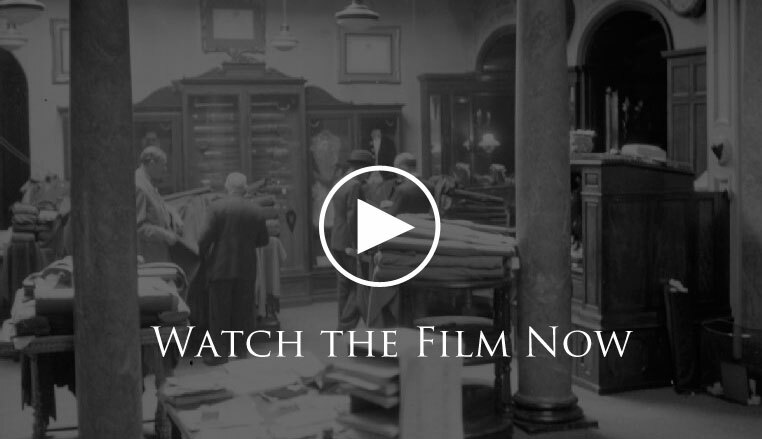 This has been documented, but what about the sweat and skills behind the perfectly tailored suits, the stories of the tailors themselves and the various people who worked in associated trades in the area? Unlike other histories of the street which focus on mens fashion, this project will be a social history of the people who have worked in and around Savile Row, how they got their skills, their backgrounds, and how work has changed during this time. The focus will be on living memory but with research into the roots of the industry. Many came into the trade from working class families through newspaper ads or family connections. Others came from overseas, from Eastern Europe and Italy, then from the Caribbean and Cyprus. All learned their skills through long and arduous hours as apprentices. The incredible skills in measuring, cutting, stitching, padding are combined to make one suit. Much of the production was done in the workshops underneath the tailors shops, but also in the little workshops in neighbouring Soho. Then there are the agents, the people who visit the various tailors to sell the fabrics for the suits, made from material from all over the world. All have been essential in making the area famous as the home of bespoke men's tailoring. The Tailored Stories Project is funded by The Heritage Lottery Fund and Kensington & Chelsea College.